Arguably one of the most photographed places on Earth, Monument Valley is the quintessential picture of the American West. 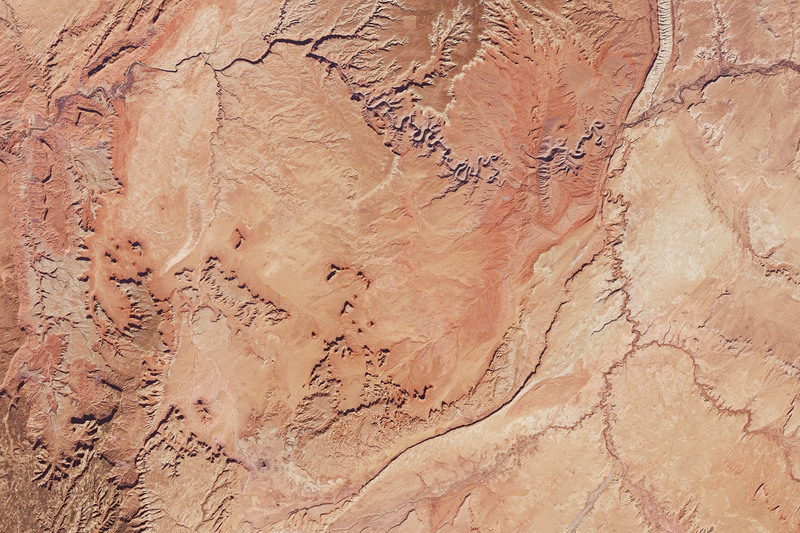 The valley covers about 92,000 acres along the border of Arizona and Utah. You may have seen this iconic landscape in several John Wayne movies as the Hollywood star rode a horse through these sandy plains. You can travel for miles on horseback amid towering sandstone pillars that are peppered throughout this Navajo Tribal Park. Between the red rock formations and the sandstone towers, the valley contains evidence of eons of nature’s constructive and destructive power. Formed during the Permian period, this patch of land once formed part of a seafloor where sediments and sandstone piled up in layers for millions of years. 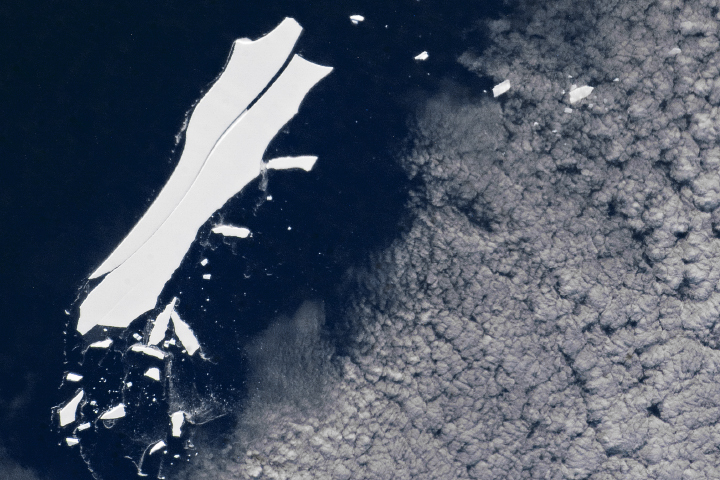 Tectonic forces raised the slab above the water line and created a plateau. Then water and wind chipped away at the sedimentary rock and removed the softer materials, eventually giving us the towering structures that we see today. The natural-color composite image at the top of this page gives a sense of the topography of the valley. 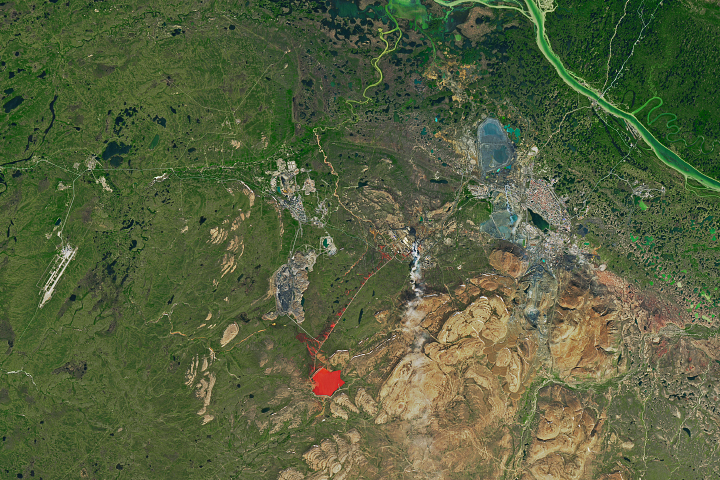 The image was made from data acquired by the Operational Land Imager (OLI) on Landsat 8 from May 8, 2018, and from a digital elevation model (the National Elevation Dataset of the U.S. Geological Survey). The second image was captured by OLI on Landsat 8 on November 14, 2016. 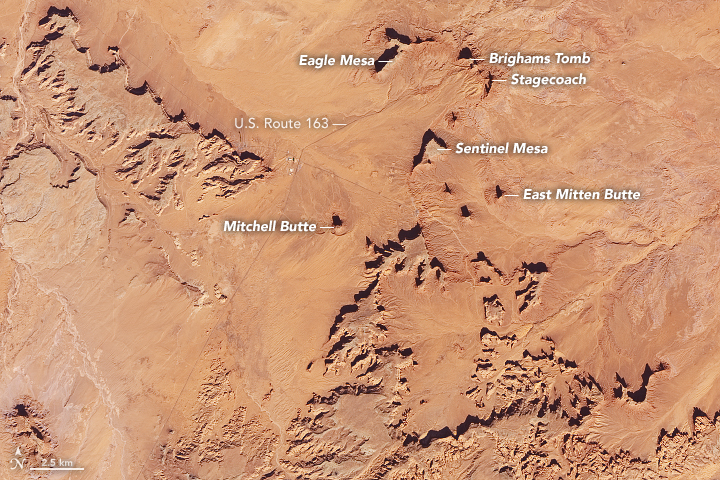 The shadows in this straight–down (nadir) satellite view give some sense of the elevation differences between the mesas and buttes that extend 400 to 1,000 feet above the valley floor. The floor is sand and siltstone and appears red due to the presence of iron oxides, while manganese oxide makes some rocks appear blue–gray. 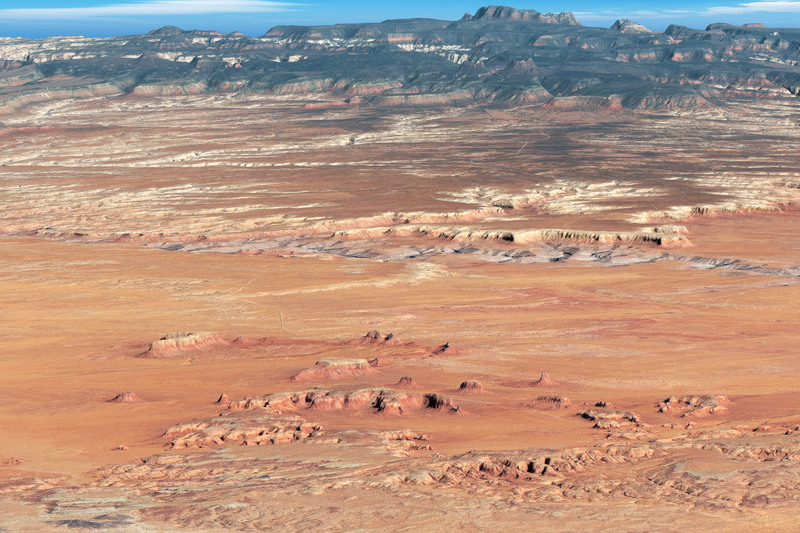 Researchers dubbed a similar landscape on Mars as “Monument Valley” because of the similarities to this Navajo park. The first known human inhabitants of the area were the Anasazi Indians, who settled here in 1200 B.C.E. and created pictographs that are still visible today. The valley and monument area is now home to the Navajo Nation, one of the largest American Indian tribes. Called “Tsé Bii’ Ndzisgaii” (“Valley of the Rocks”) by the Navajo, Monument Valley is not technically a national park. It is managed by the Navajo Parks & Recreation Department. Tourists can travel along U.S. Route 163, the only road that passes through the park, or venture off the path on horseback or car with a Navajo guide. NASA Earth Observatory images by Joshua Stevens and Mike Taylor, using Landsat data from the U.S. Geological Survey and topographic data from the National Elevation Dataset (NED). Story by Kasha Patel. CBS News (2016, June 22) Nature up close: Monument Valley. Accessed May June 5, 2018. Navajo National Parks Monument Valley Tribal Park. Accessed June 1, 2018. Utah.com Monument Valley. Accessed June 1, 2018. Visit Utah The Story of Monument Valley Navajo Tribal Park. Accessed June 1, 2018. YouTube.com The Majesty of Monument Valley | National Geographic. Accessed June 1, 2018.